It’s no secret that Buffalo’s DIY community is an absolute force. Between the multitude of local labels and the wide-ranging artists and musicians that work hard to bring their craft to the forefront, the DIY ethic in our city is ever-strengthening. One of the more prominent local labels in the scene is also one of longest-lasting. 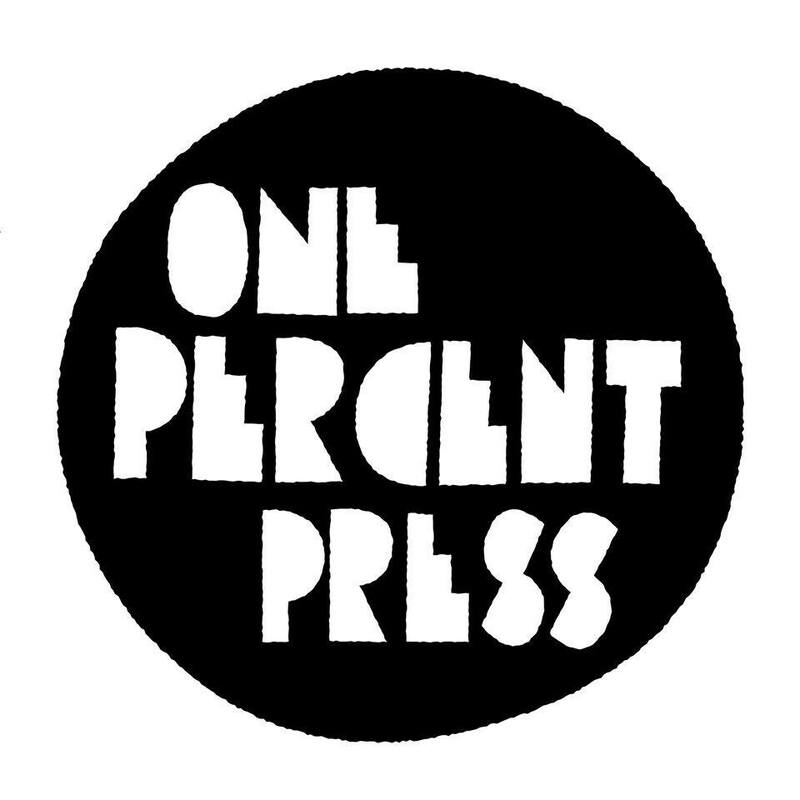 One Percent Press, a label that celebrates its tenth birthday this year, embraces that very ethic and has released an impressive catalog of comic books, artwork, and music over the years. We picked the brain of OPP co-founder Stephen Floyd–who currently resides in Buffalo–to dig a bit on the origins of the label, their mission statement, as well as a few current and future projects. Dig in. buffaBLOG: One Percent Press has called home to a few different cities. In what ways does your locale influence what you do with the label? Do you scout primarily in WNY / Minneapolis or does your focus extend into other areas? bB: Do you think having almost 1000 miles between you and JP helps diversify your roster, or perhaps make operations more difficult? How do you divide the labor? SF: JP and I started the label to help each other out with our creative projects. A label seemed like a good idea because we’ve never lived in the same city, and it was something we could work on remotely. It wasn’t, like, a conscious decision to make sure we had something to do together so we would keep in touch for ten years but that’s what happened and I’m very grateful for it. The label has always been a part-time or hobby type thing. Depending on how hectic our lives are sometimes we’ll swap roles but JP is a little more computer savvy than me so he handles a lot of the back end stuff and usually has a hand in prepping the artwork for print. I am currently doing most of the mail order but JP did that for years. bB: Music and comic books—that’s quite a niche. Is that combination a direct result of shared interests between you and JP? Is your publishing situation and your record label run as separate entities under the same name, or is there more of a symbiosis between the two? SF: I think the general perception is JP is the “comics guy” and I’m the “music guy,” but we are both very passionate about both those things. When we first started, I was really interested in the intersection of music and comics but I would say people who are interested in the stuff we release seem to stick to one or the other. We rarely get orders where people are buying both the comics and the music. As I’ve gotten older, I’ve often thought that maybe it was a mistake to do it as just one big “Comix & Record Label,” but that’s what we did and we really like doing it as it is, even if it is potentially confusing for people. It’s bad branding, for sure! bB: How does your punk cassette label Drug Party Tapes fit into that equation? How did that come about? SF: Drug Party Tapes was started as a collaboration between my friends Dan, Laura, and myself to help document the Buffalo DIY punk scene we hang out in. The idea was to make the tapes super cheap and everything free to download. For me it was to have a project that I didn’t have to do a ton of boring work like updating spreadsheets or doing accounting. I wanted everything to be really cut and dry so I never had to get stressed out about cutting royalty checks or hunting down people to pay me for consignment. Of course, it turns out working with 20+ bands even on a small scale is a lot of work and Laura and Dan have since bowed out due to other commitments. So currently, it’s just me doing Drug Party Tapes. I have thought about winding it down due to the work load, but the label has become a nice snapshot of some of the bands in Buffalo and I still get a lot of orders and emails from people out of town who get clued into how awesome Buffalo is via the label. There have been times when I was spread too thin and didn’t do the best job with some of the releases but I think in the long run the music is available for free and it has connected a lot of people to Buffalo and I think that’s a positive thing. Hopefully people keep digging in because there are a lot of other cool local labels and bands. The newest release is by Boy Scouts and they are a really inspiring band and I’m super stoked to work with them. bB: Ten years is a quite an accomplishment for an independent label in today’s crowded music industry. To what do you owe One Percent’s longevity? SF: The reason I do One Percent Press is to have something to do with JP and to help out some friends when I can. I think that as long as JP and I are friends and have fun doing the label, we’ll keep doing it. I don’t really think of it in context of anything else like the “music industry” or in context of anything else other than my life and the people who have found it to be valuable. I know we’ve been a positive force in a few people’s lives and that is so vital to me to be able to engage with people. I try not to get hung up in worrying about whether we are getting lost in all the noise because I think the people who need to find this stuff are finding it. It might take years after it was released but I believe this stuff finds its way into the right hands. Luckily I am validated by the quality of interactions I’ve had and not the quantity or I would be very, very displeased! bB: Where do you see One Percent Press in five more years? SF: Hopefully still releasing stuff! Nothing has really changed in 10 years so I have no real reason to believe things will be any different. Unless people totally abandon physical media, in which case we’ll just make fewer copies of stuff. I’m still gonna want physical copies of stuff, so I’m always going to want to make stuff. bB: How is the Buffalo scene different than the one in Atlanta, where you grew up? What are your favorite aspects of the Buffalo artist community, and in what ways would you say the scene needs improvement? SF: I would say my experiences in Atlanta and Buffalo have been more or less the same. I helped put out records, booked shows, had bands stay at my house, etc, etc. All the normal stuff people do when they are involved in whatever DIY music scene they are in. Atlanta is a bigger city and it has the advantages and disadvantages of big city, just as Buffalo has the advantages and disadvantages of a smaller city. I guess in Atlanta, I had a harder time disseminating information but I was also like 15 years old and I didn’t know anything. 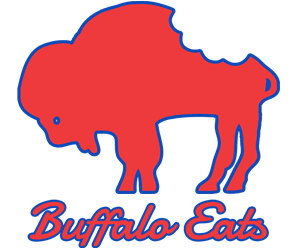 I think the smaller size of Buffalo has helped me get a handle on what is going on in the city, but I’m still learning about new scenes and communities all the time. I love Buffalo and there are a lot of amazing bands, a lot of amazing places to play, and a lot of amazing people to work with. 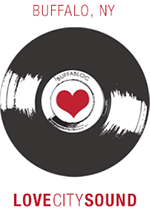 There are a lot of rad resources to help start projects or to get involved in (including buffaBLOG) so check out Sugar City, Dreamland, WNY Book Arts Center, D.O.P.E. Collective, More Power Tapes… oof, just listing stuff is making my head spin, but the point is if you wanna get things going in Buffalo I assure you there is a way. bB: As both a musician and co-head of a local record label, do you feel you have a higher-than-average understanding of what it takes to “make it” (whatever that means nowadays) in today’s music industry? Do you apply what you know regarding One Percent into what you do with Mallwalkers? SF: No not really, I don’t really think like that. If anything, I hope that One Percent Press is viewed as part of a larger culture of people who feel like making things and communicating is a way to exist against mainstream culture. Like, I need to believe when people look at DIY in America that they are seeing independent media that reflects the attitudes of people who are not capitalistic or exploitative in their motivation. All the bands and labels and zinesters and micro-publishers and etc. add up to something very real. I think it shows the world that not everyone is interested in pumping out the garbage that mainstream culture dishes out, and while we’re all complicit in what goes on here, there’s at least a document of people making stuff and supporting each other. bB: 2014 finally saw the long-awaited release of Wooden Waves’ Wilder Dreams LP, one of the top contenders on buffaBLOG’s Best of Buffalo list. What does One Percent have in store for its tenth year? SF: We’ve got a record by Ithaca’s Why+The+Wires coming out as a split release with Jetsam-Flotsam Records in Chicago. The Buffalo release show will be November 7th at Sugar City with Del Paxton and this band I play guitar in, Returners. I’m also going to have a hand in releasing the LP by Buffalo’s Alpha Hopper and Philadelphia’s Todd Killingz. I’m also re-issuing the first album by Providence’s Downtown Boys. As far as comics we are re-releasing One Percent Press editions of Jeremiah by Cathy G. Johnson and The Aeronaut by Alexis Frederick-Frost, along with a new issue of Simple Routines by JP Coovert and are shooting to have them all available by the Small Press Expo in Bethesda, MD September 19th & 20. We’re are also hoping to have to have the 4th square bound collection of Simple Routines available by then too. Also, I am doing a show for this excellent band Worriers at Sugar City on September 23rd so check it out!